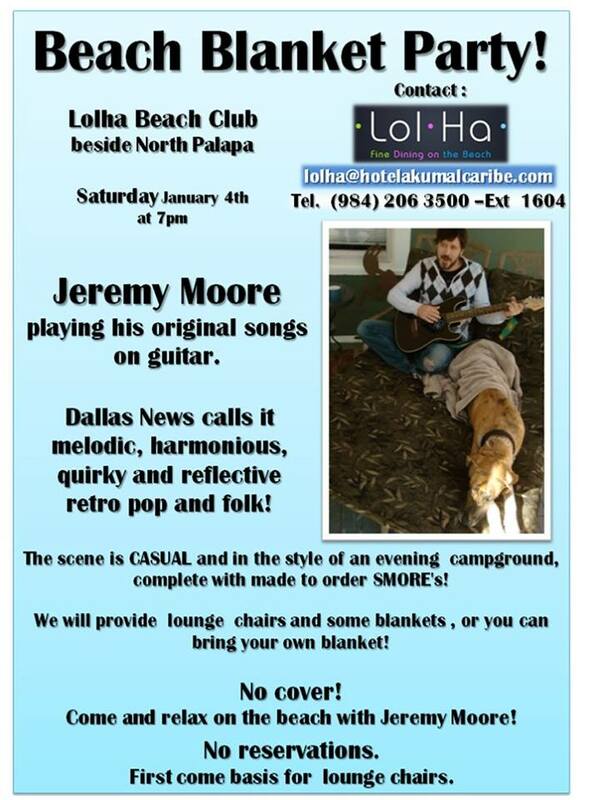 At 7PM on January 4, 2014 the Lol Ha Beach Club on Akumal Bay is organizing a beach blanket evening with folk pop guitarist Jeremy Moore. He will play his original songs on guitar. The scene is casual and in the style of an evening campground complete with made to order smores. Blankets, lounge chairs will be provided while you can also bring your own. There will be no reservations and no cover. Another perk of having Akumal real estate!